Savannah’s storied past and stunning architecture are reasons enough to visit Georgia’s celebrated river city. 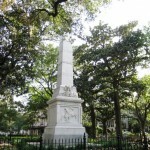 But it is Savannah’s breathtaking natural beauty – the moss-draped live oaks, the Little Gem Southern Magnolia tree, and the brightly colored blooming azaleas – that take one’s breath away. This sultry Grand Dame of the South captures your heart at first glance. 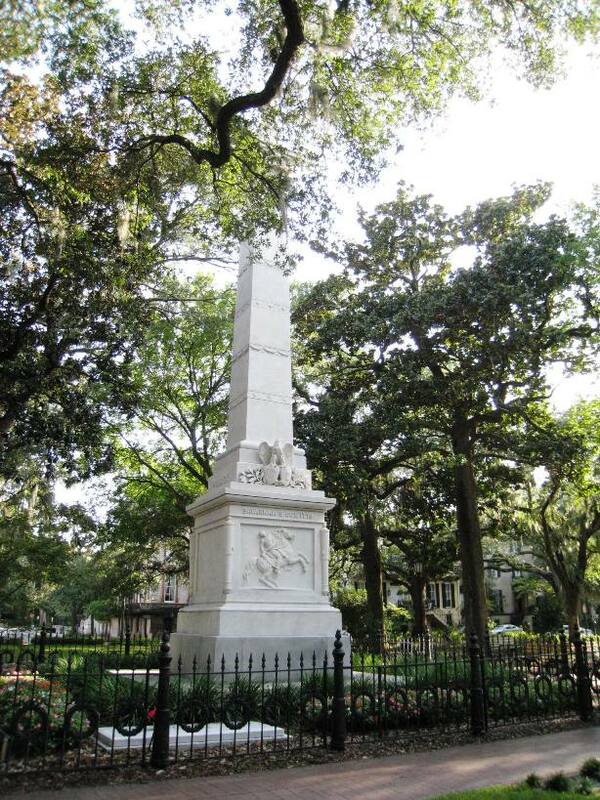 Founded in 1733, Savannah has the noted distinction of being America’s first planned city. A grid system design winningly incorporates open public squares to create a strong sense of community adding to Savannah’s small town southern charm. It is not hard to imagine life as it was 100 years ago with neighbors strolling through the garden parks engaged in friendly conversation sharing the news of the day. 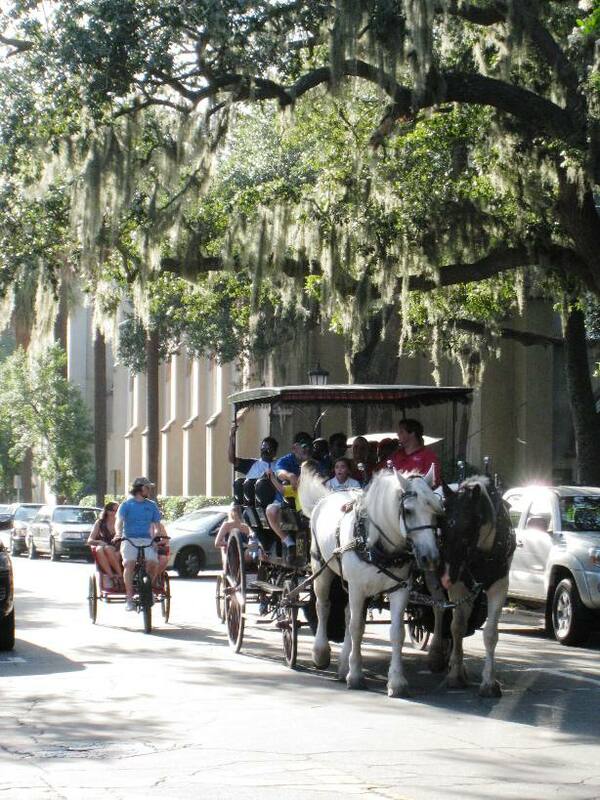 Today, Savannah continues its legacy as an urban oasis and pedestrian-friendly city encouraging residents and visitors alike to enjoy and explore its unique treasures and traditions. Fast Fact: The 2.5 square mile Landmark Historic District makes Savannah one of the largest urban historic districts in the nation. The Azalea Inn and Gardens, a quaint bed and breakfast, makes the perfect home base for a memorable Savannah escape. Nestled in a quiet historic neighborhood a few blocks from Forsyth Park, the Inn is a restful haven oozing with Southern hospitality. Owners, Teresa and Michael Jacobson and their staff like to spoil guests. From the bountiful multi-course breakfast, afternoon wine tasting, and the evening fresh baked sweet treats, the Azalea Inn sets the bar high in terms of service and making guests feel right at home. But in this case, home is a pretty pastel yellow 19th Century mansion, a lovely example of Italianate architecture. 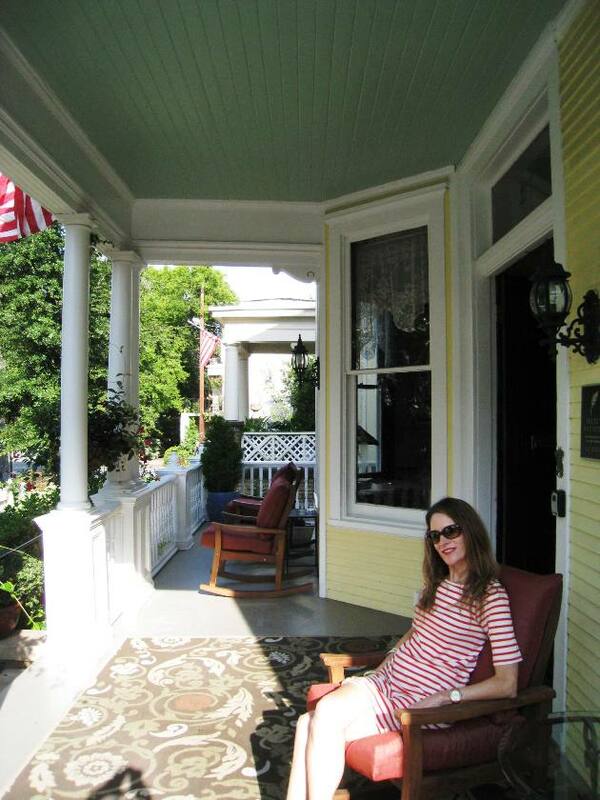 Visitors are welcomed by an inviting front porch; a refined rest stop in the form of a comfy and cozy open air parlor offering a calming and shaded view of a tree lined brick cobbled street and other stately homes. 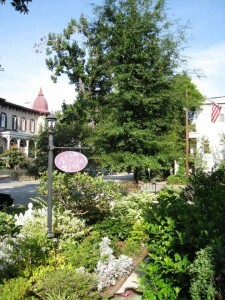 The Azalea Inn is two buildings in one. There is the main house which is connected by an enclosed garden courtyard to a smaller two story cottage. 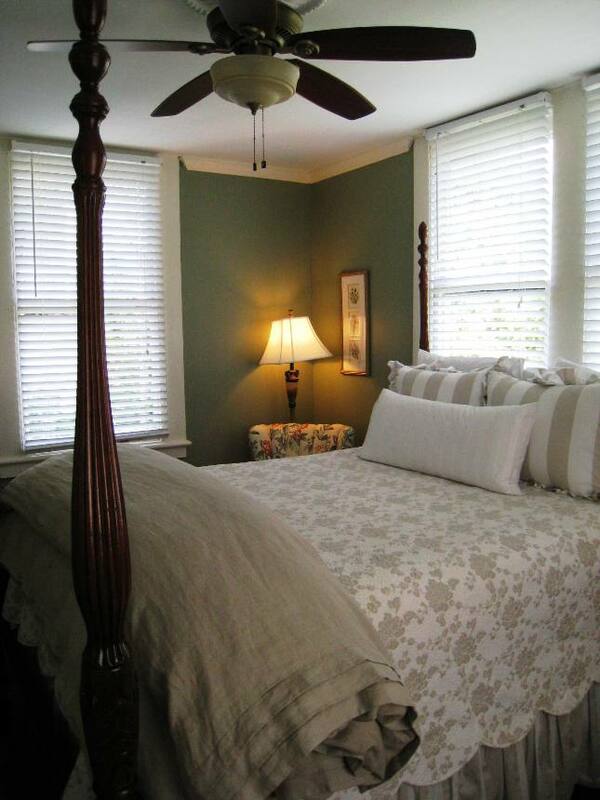 The main house features seven beautifully appointed rooms, each uniquely decorated in period furnishings and tasteful southern-inspired design accents and colors. The Cottage Garden House offers two distinctive private retreats. The lower level, more like a self-contained studio apartment, features a separate bedroom with a king size bed, a private bath with a whirlpool tub, a sitting area and a kitchenette with a cook top, microwave, mini-fridge and small dining table. The unit also boasts a private patio with easy access to the courtyard pool…perfect for a little romance and a moonlight swim. Divas will delight in the Cottage Garden House second floor accommodations. The upper floor is a top pick for a “girlfriend getaway”. Think privacy with perks! Enjoy personal space with two spacious bedrooms. 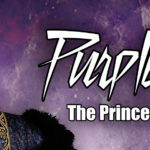 Each features a Queen four poster bed, a writing desk, a flat screen television with DVD player, an entertainment docking station, and plush bedding. And, let me not forget…a princess step stool to effortlessly elevate you to dreamland nightly. The newly redecorated shared bath has an over sized rain shower, an elegant dresser sink and a makeup mirror. A mini-fridge, microwave and coffee maker are special touches. The staff keeps the fridge stocked with bottled water and provides a generous supply of popcorn for snacking. 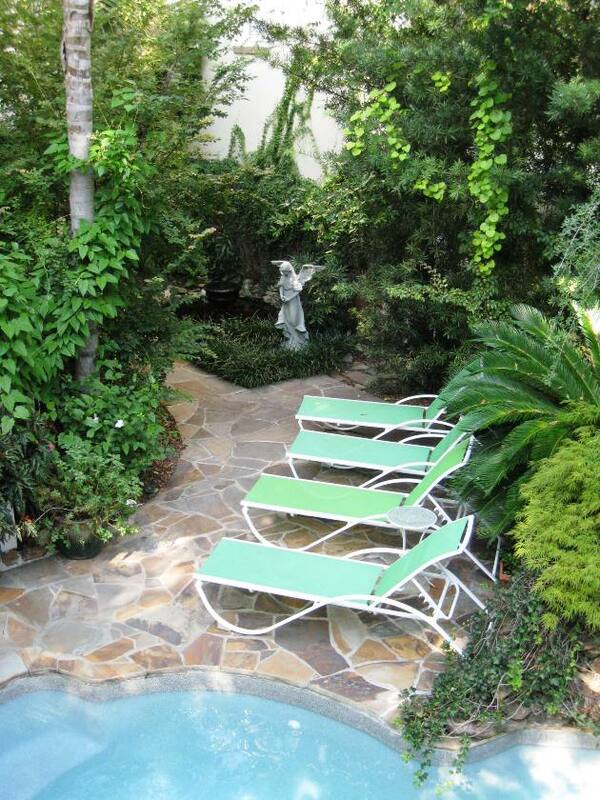 Whether planning a romantic weekend or a best friend getaway, the Azalea Inn and Gardens will not disappoint. 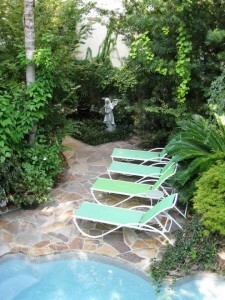 For Special Promotions and Packages, visit The Azalea Inn and Gardens website. Holiday 2012 Promotion: Pajama Shop Hop. Ladies, get ready for some PJ Power Shopping during the month of December with some of your favorite friends. Celebrate the 100th Anniversary of the Girl Scouts with a visit to founder, Juliette Gordon Low’s childhood home. Stroll Savannah’s Riverfront. Over 50 shops & weekend open air markets. 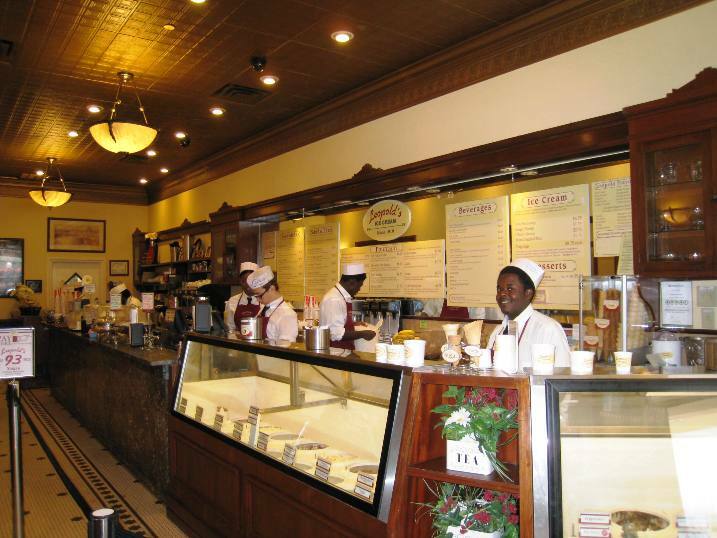 Stop in for a legendary scoop of Leopold’s Ice Cream – an institution since 1919. 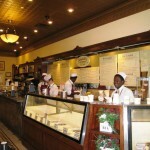 You know the ice cream is good..when you see a waiting line wrapped around the block on a summer afternoon. 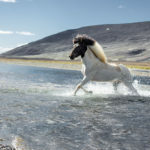 The family run shop is now owned and operated by famed Hollywood producer, Stratton Leopold, known for blockbusters like The Big Chill, The General’s Daughter, and Mission Impossible 3. 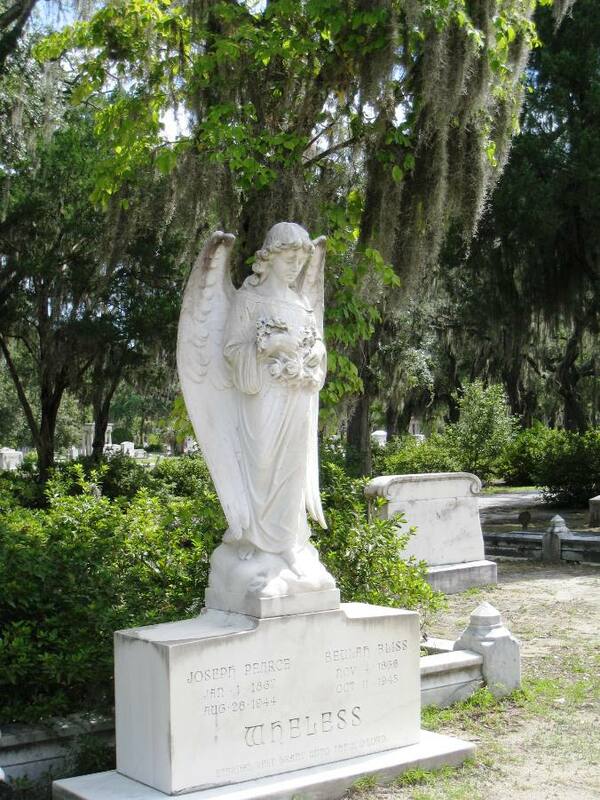 Revel in the solemn beauty of the Bonaventure Cemetery – a surreal setting of gravestones and burial sites. One leaves with a renewed sense of spirituality. 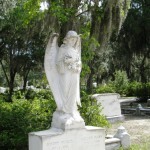 Visit the Bonaventure Historical Society online for hours of operation and group tour reservations. 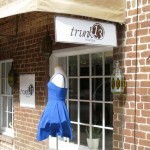 Shopping on Broughton. Favorites include: 1) The Paris Market, an eclectic mix of home accents, artwork, jewelry and one of kind finds. 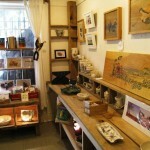 2) ARC, a boutique shop where clean, crisp and modern meets high brow vintage. 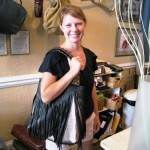 3) Satchel – my official Tango Diva designated top shop in Savannah. Custom leather hand bags to die for! 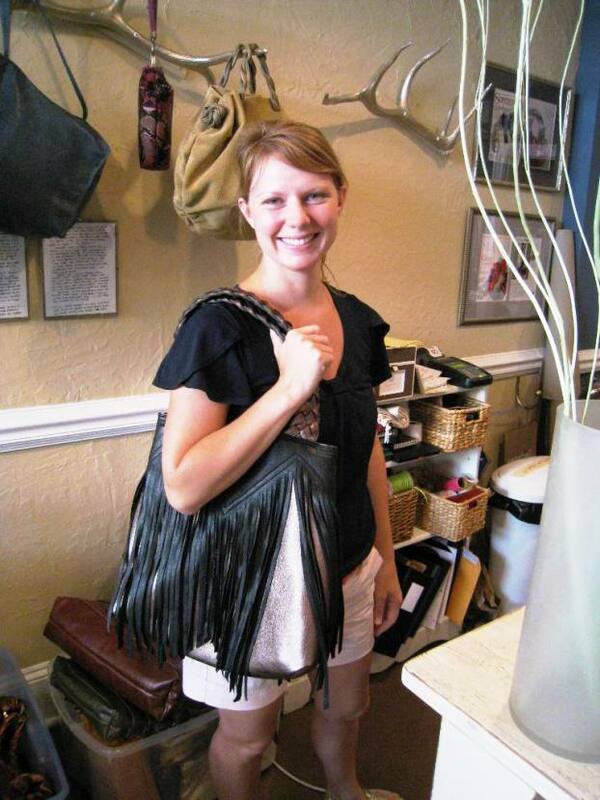 SCAD graduate, Elizabeth Seeger, at the ripe old age of 29, is rocking the fashion world with her custom creations. If you can work it in your schedule… stop by Satchel for incredible savings – 30% off everything in stock – on Thursday, September 6. Artistic Avenues. Check out an artist co-op called reCREATE on West Liberty Street located just a short walk from Gallery Espresso, a popular haunt reminiscent of the FRIENDS TV sitcom set, on Bull Street. 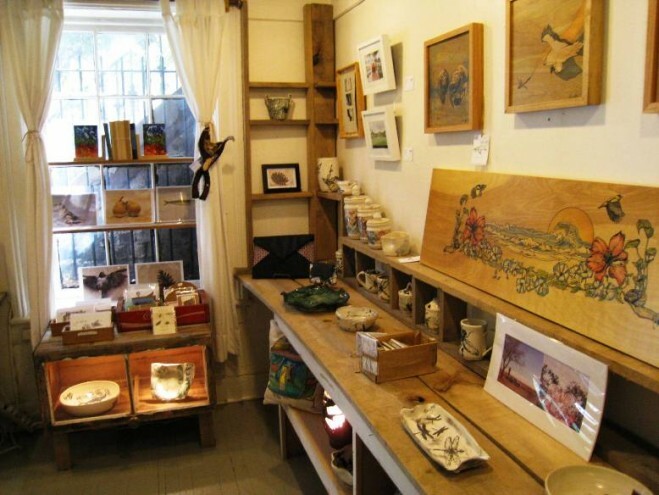 Local artisans showcase and sell their works at affordable prices. 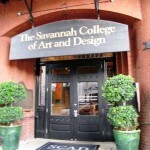 And, a stop at the SCAD (Savannah College of Art & Design) Gift Shop just south of Gallery Espresso should not be missed. Preview local student talent from jewelry to pillows. 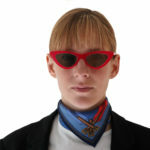 Visit www.shopscad.com for more information. 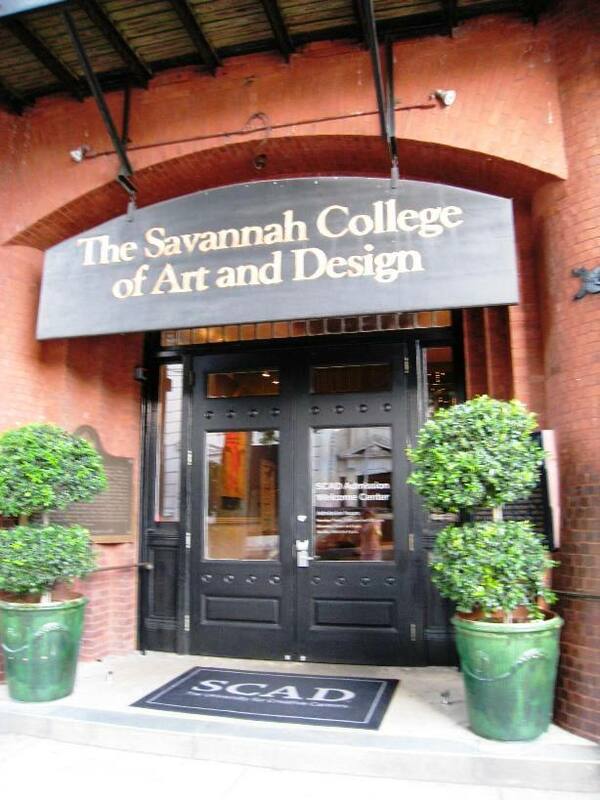 Exit SCAD and head west to Whitaker to Savannah’s Design District – for antiques, boutiques, design galleries and more. 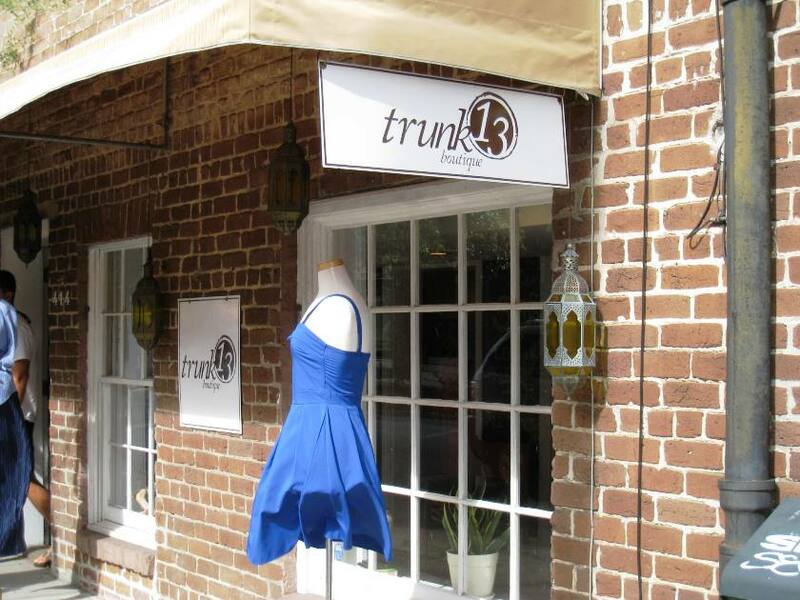 Fashionista Find: Trunk 13 Boutique. 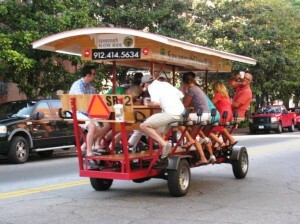 Join the Savannah Slow Ride – a bicycle ride like no other! 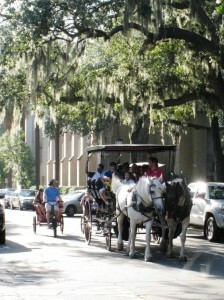 A fifteen person bicycle excursion that skips the Savannah history lesson and tour. Riders are encouraged to “make your own history”. Crazy fun! 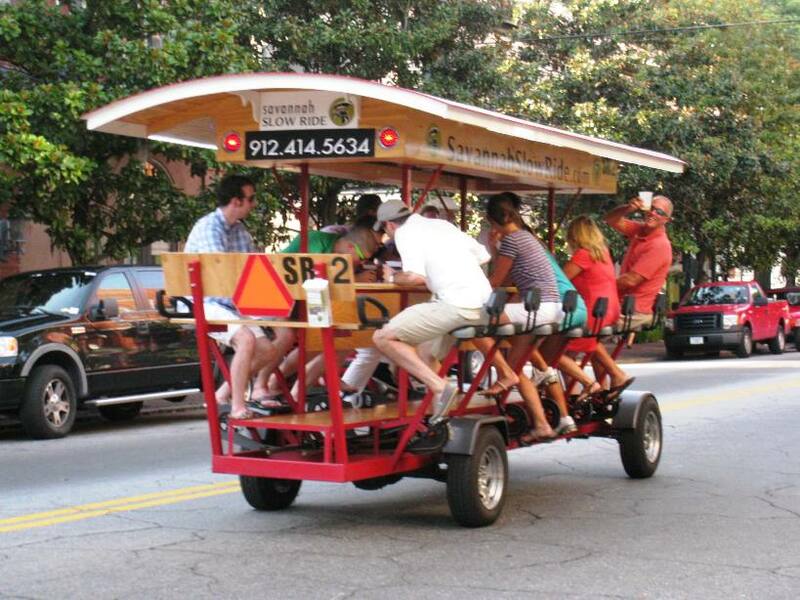 Bring your beer goggles and party gear for the Pub Crawl Ride. 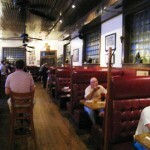 Crystal Beer Parlor –301 Jones Street. Hands down a Savannah icon not be missed! 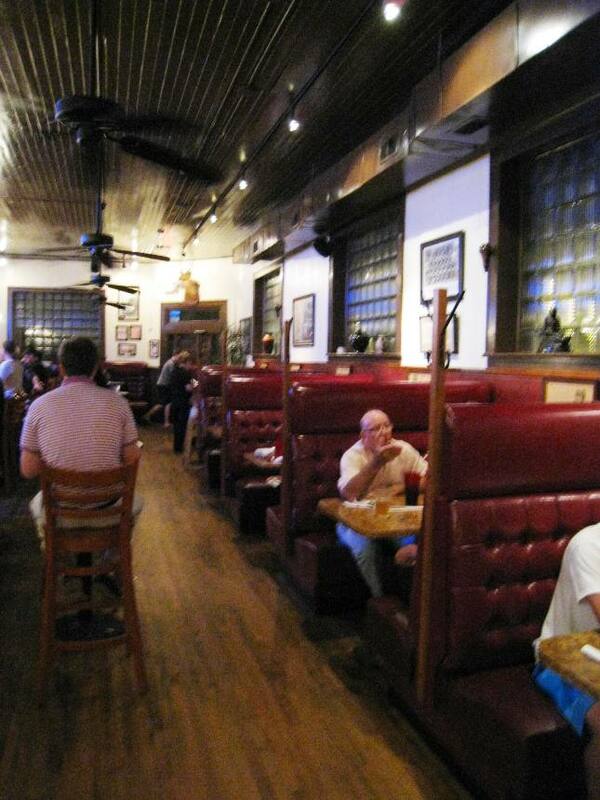 A classic speakeasy atmosphere with a friendly welcoming staff. Savannah’s second oldest restaurant and bar (est. 1933). Great burgers, beer and conversation! And… a Slow Ride Pub Crawl Stop. Soho South Café – 12 W. Liberty Street. 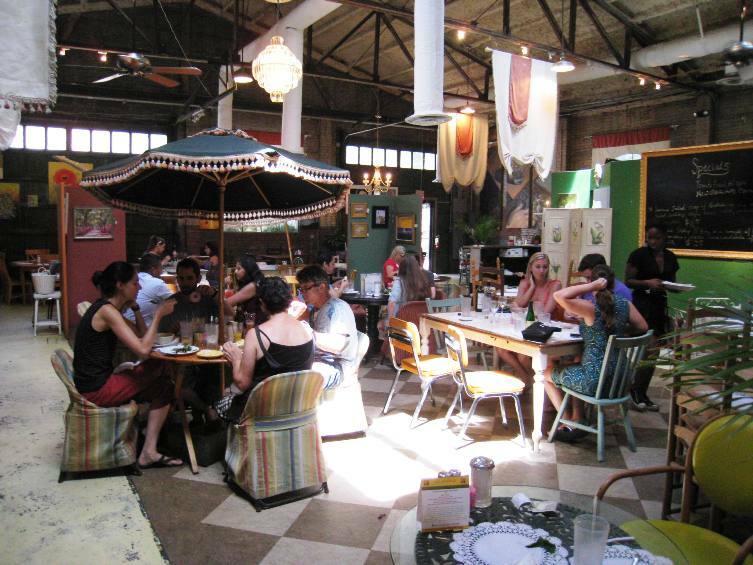 (next to reCreate) Funky artistic atmosphere featuring a healthy menu and moderate pricing. 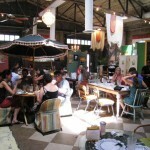 Fire Street Food – 13 East Perry (near Gallery Espresso). Yummy asian-inspired menu at prices that won’t break your budget. Daytripper Delight: Don’t leave Savannah without a side trip to beautiful Tybee Island – a short 25 minute car ride from the Historic District. Here you will find some of the area’s best beaches, seafood and water sports. Follow the 178 step climb up the Tybee Lighthouse with lunch at The Crab Shack, a popular watering hole and home to 70+ alligators and exotic birds. End the day with a scenic cruise with Captain Mike’s Dolphin Adventure Tours. Resident bottlenose dolphins playfully tag along as the boat navigates the coastal waters showcasing the region’s stunning natural beauty.